World Cup Cycling LIVE on the BBC! The BBC is televising the Track Cycling World Cup, to UK viewers, with a massive two-and-a-half hour slot on Sunday 20 February 2011 at 1:30PM. This is the third and final day of the World Cup, and features the Team Sprint (men), Kierin (men, women), Team Pursuit (men) and women's Omnium. 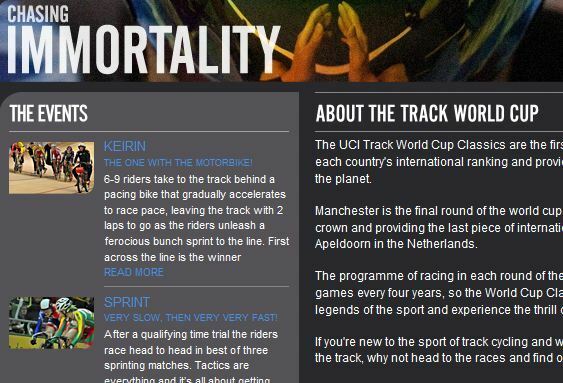 For a more information see the UCI World Cup Track Cycling Classics: Event Schedule. Read more on the BBC Cycling Schedule.